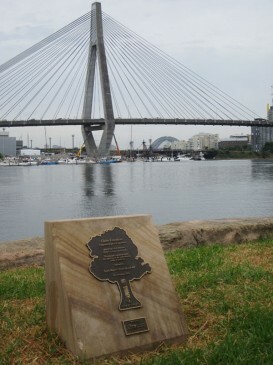 To the east of the Reserve there is a plaque commemorating the opening of the new section of the Waterfront Walk on 11 November, 2006 (as far as Cook Street) by the City of Sydney, which incorporated Glebe from 2003. 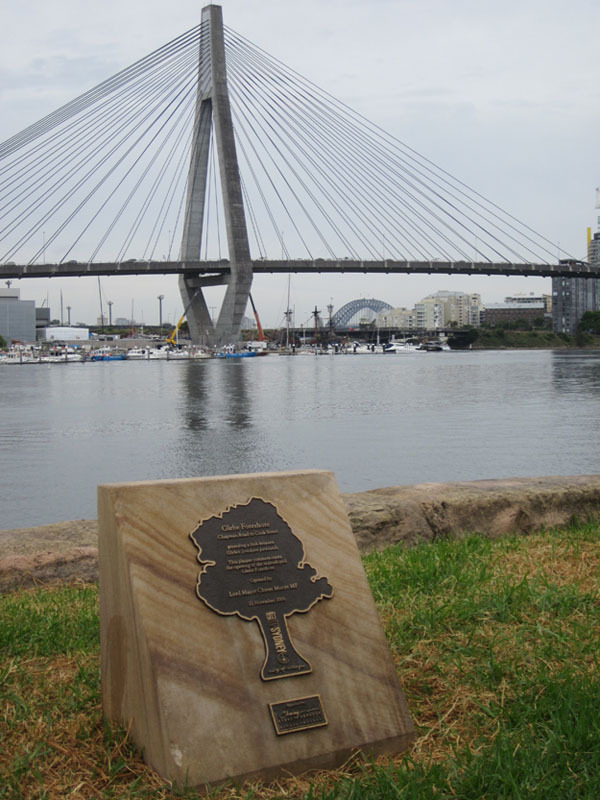 This is also a good spot from which to view the three bridges, which are, from closest to furthest, Anzac (1996), Glebe Island (1904) and Sydney Harbour (1932). Glebe Island Bridge has an electrically operated swinging central span, and is the twin of Pyrmont Bridge at Darling Harbour, and both were equally innovative. However, Pyrmont is now a pedestrian bridge, kept mainly closed. The Glebe Society would like to see Glebe Island Bridge continue to open regularly, but to be closed to allow pedestrian and bicycle access, and perhaps also to accommodate a further extension of Light Rail.